The purpose of Injection quills is to introduce corrosive chemicals (medium to highly corrosive) into a pipeline without damaging the pipe wall or the side port at the exact point of injection. 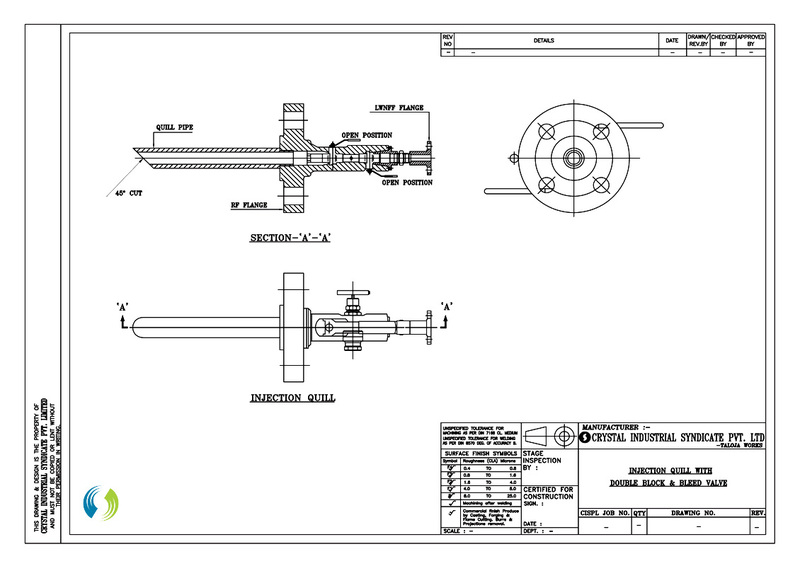 Chemical injection quills ensure that there is an even dispersion of chemicals into the pipeline's center, which avoids channeling down the pipe wall of the chemical. Both the stinger and the body are constructed of materials that are chemical resistant alloys or plastics (Kynar, 316 SS, Hastelloy C-276 or PVC). 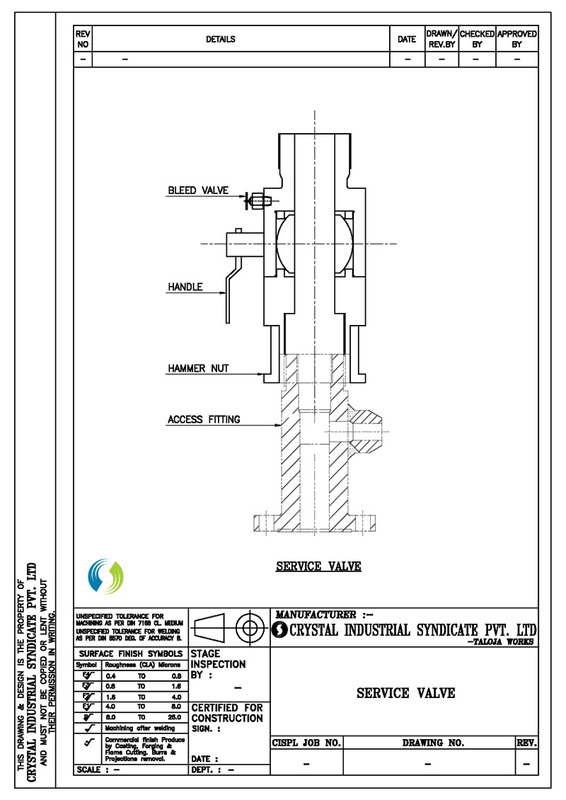 Each injection quill unit of Crystal Industrial comes in total with an integral removable ball check with spring loaded, to avoid flow of the injected chemical passing into the main flow when the system is shut down. In the past, chemical injection quills have been little more than a piece of tube extending into a pipe. 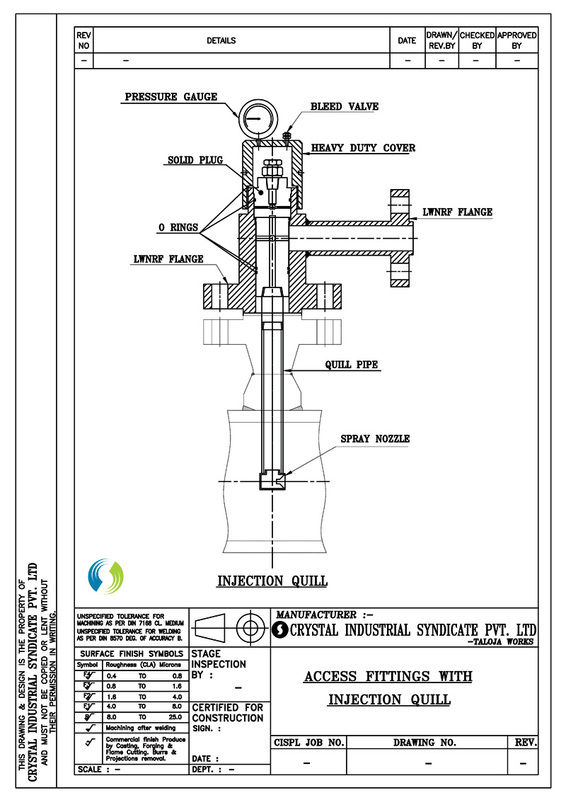 This design is vulnerable to erosion-corrosion and cavitation in the piping due to vortex shedding and other hazards. Moreover, often these quills and the piping just downstream are not properly inspected. Due to which there have been numerous cases of damage to the piping just after these quills. Crystal's chemical Injection Quills have a tapered shape which reduces the effects of vortex shedding, thus vastly reducing the likelihood of erosion-corrosion, cavitation, and quill fatigue cracking. 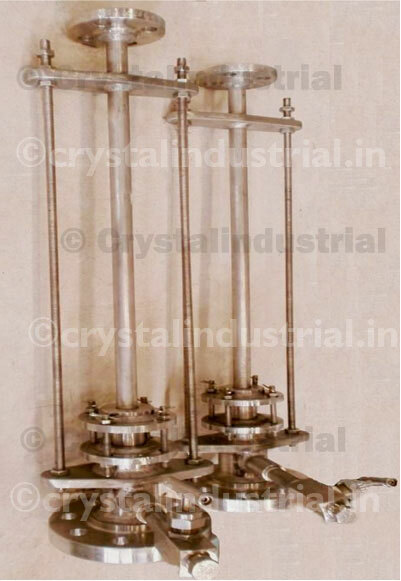 Crystal Industrial's chemical injection quills are employed for the introduction of medium to highly corrosive chemicals into pipelines without damaging the side port or the pipe wall at the point of injection. Chemical injection quills ensure even dispersion of chemicals into the center of the pipeline, thus preventing channeling of the chemicals down the pipe walls. Both the body and stinger of Crystal's injection quills are constructed of chemical resistant plastics or alloys (PVC, Kynar, 316 SS, or Hastelloy C-276). 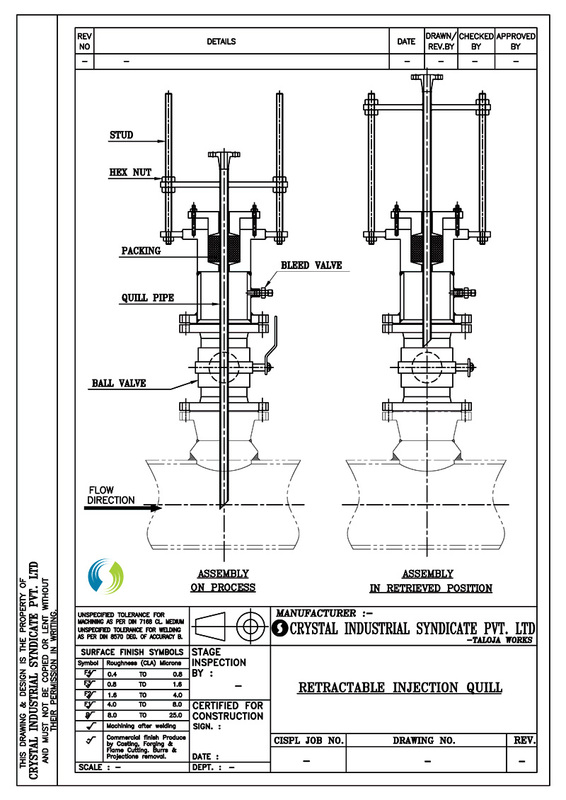 Each injection quill unit of Crystal comes complete with an integral removable spring loaded ball check to prevent flow of the injected chemical into the main flow when the system is shut down. Crystal's injection quills in come with stinger lengths of 3" and 5" are available from stock. All injection quills come standard with FNPT x MNPT connections for convenient installation. 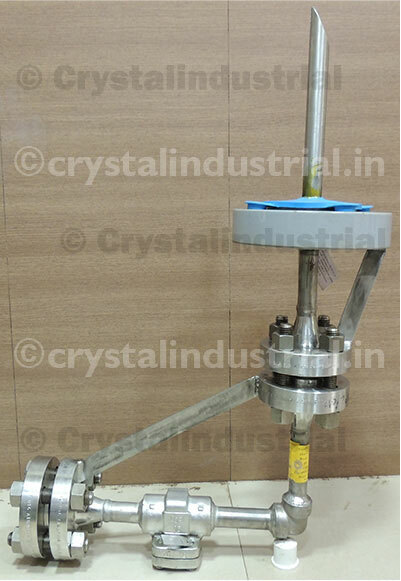 Are used to inject corrosion inhibitors and other special chemicals into the Oil, Gas, Crude & other fluid pipe line. The typical material of construction is SS 316 / 304 grade, Inconel 625/825, Monel, Hastelloy, Super Duplex Etc. Used to insert the Quill and Spray Nozzles and Corrosion Coupons into main Oil & Gas pipe line up to pressure of 10 to 30 Bar without shutting the flow in the main pipe line. Injection quills are the process and mechanically designed nozzles connected to a fluid pipe line through which various chemicals are injected into the fluid, mainly for the purpose of corrosion control inside the pipeline and downstream equipment. 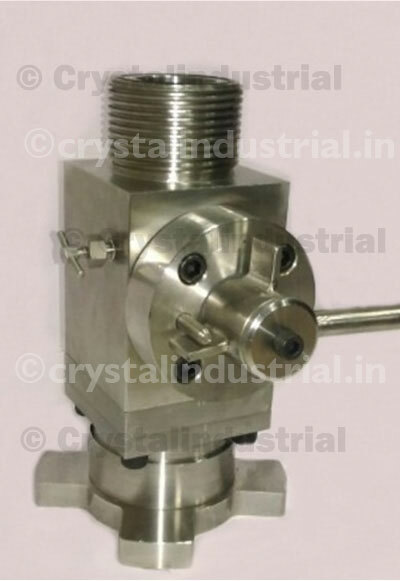 Does Crystal make Access Fittings for use in injection quills? What are Fixed and Retrievable types of injection quills? 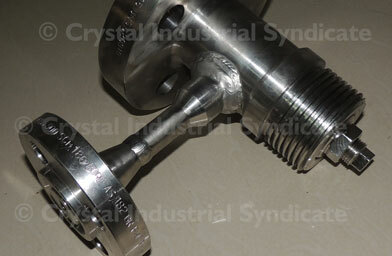 In fixed type of injection quills, the injection nozzle can be removed for maintenance only after the shut down and depressurizing the main pipeline and in Retrievable type of Quills, the injection nozzle, corrosion coupons and probes can be retrieved from the system with the main pipeline pressurized and without shutdown. 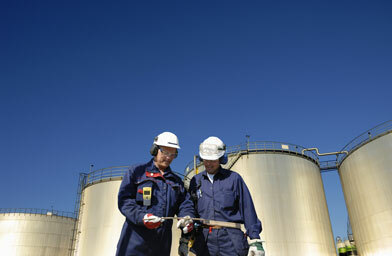 How is corrosion measured inside the pipes for Oil & Gas Service? 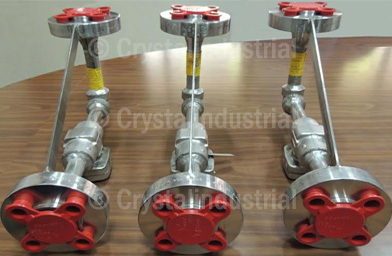 You can use corrosion coupons placed inside the fluid pipeline using coupon holders, access fittings and retrieving mechanism and measure the weight loss by the corrosion coupon periodically to access the corrosion rate. Corrosion Coupons shall be the same material as of fluid pipe. Does Crystal make cladded injection quills ? Does Crystal undertake manufacture of injection quills with complex mechanical design with wake frequency analysis? Crystal supplies quills with complete design including wake frequency analysis. What are the materials of construction available for injection quills? Inconel 825, Inconel 625, Hastelloy, Monel, Stainless Steel, Forged carbon steel are some of the different materials for injection quills. Are Injection Quills available in Inconel, Cladded construction and Hastelloy cladded construction? 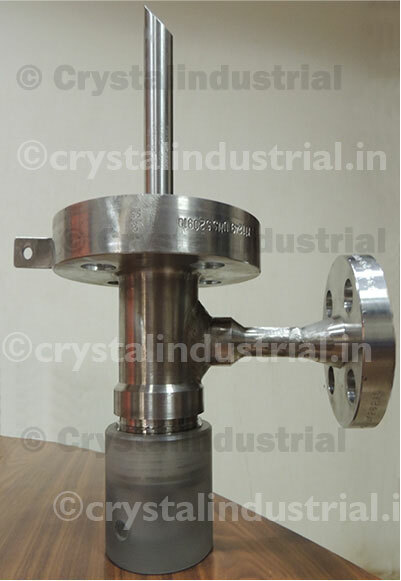 Yes, they are available in Inconel and Hastelloy cladded construction and these are used in DHDS / DHDT & Alkylation plants of Refinery and in soar applications of Oil & Gas services. Are injection quills available in forged construction in inconel with G28 intragranuler Corrosion test certifications? Yes, quills are available in forged construction with G28 corrosion test certifications.